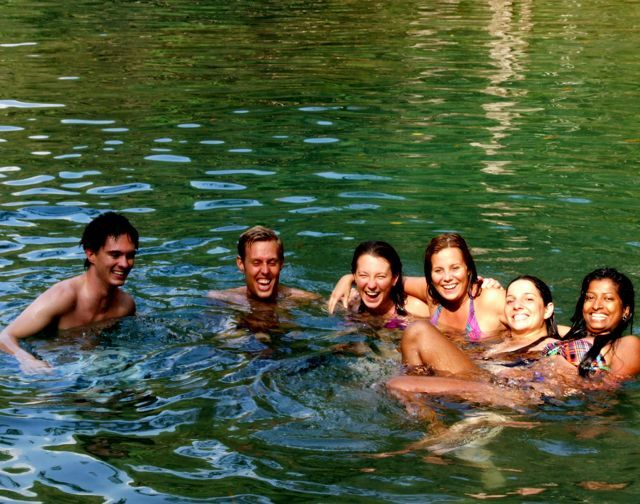 This past weekend we went to Semuc Champey on our last group retreat, and all I can say is wow. It took us nine months to finally make the eight hour trek, but it was more than worth it. 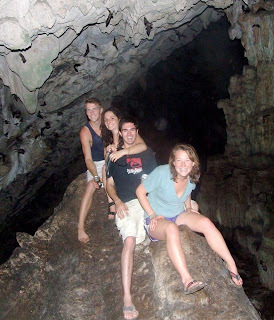 We explored bat caves, dove into crystal blue waterfalls, tubed down a lazy river, cannon-balled into caves lit only by candlelight, enjoyed delicious food, and met some incredible travelers. 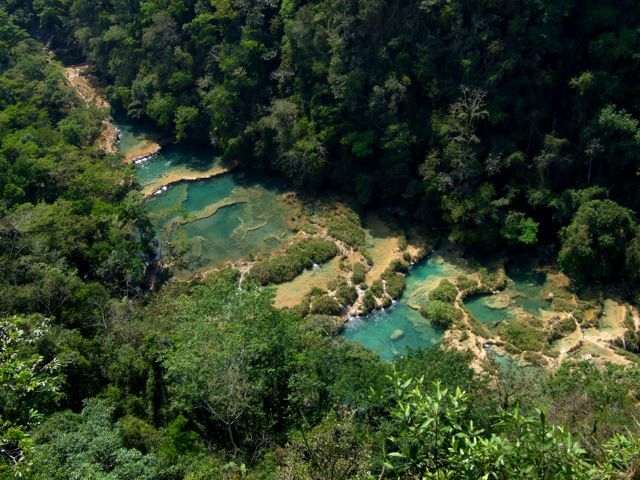 Semuc Champey directly translates to "hidden in the depth of stone" in the local Maya language Q'eqchi'. It's of course hard to put such beauty into words, but in short, Semuc is a series of pools with waterfalls flowing from one to the next. What's incredible is that the pools sit atop an immense river, separated by a thick sheet of limestone. The Cahabon River disappears underneath the pools of Semuc only to reappear 300 meters later. Incredible. I can promise it will not be another nine months before I return. Did I ever mention that I love my life?